By Johnny Benz, Doghouse Boxing - By now you are very well familiar with HBO's "24/7" TV series which is put together before a big boxing match. You are also very familiar with how dysfunctional the relationship between Floyd Mayweather Sr. and Jr. can be at times. 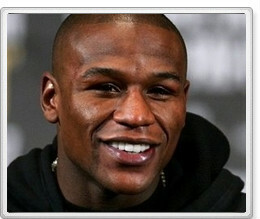 The "24/7" series is going huge this week with the premiere of Mayweather vs Ortiz 24/7. Not only will it air on HBO, but also CNN... and it looks as if Fans are going to be treated (or mistreated, depending on how you look at it) to a big helping of the Mayweather's dysfunctional relationship. Read on and let me explain. In a recent report from David Mayo of the Grand Rapids Press, it looks like the HBO cameras got a lot more than it bargained for when things got really nasty. Here is what Mayo wrote in his recent column: "Floyd Mayweather stood virtually nose to nose with yet another distraction last week, this one involving the man from whom he took his name. It started as good-natured ribbing -- all of it with HBO's "24/7" camera whirring and a boom microphone hovering -- but quickly devolved into the two Floyd Mayweathers bellowing vile curses at each other, eyes popping, neck veins bulging, and the father stalking out while the roiling emotions within the son led him to continue the verbal fight in his dressing room, almost as if practicing lines for the next time around." Mayo added: "But no one in Team Mayweather ever has seen a confrontation between them quite as nasty as this one." Sounds like things are nasty. Will I watch? I was going to watch the "24/7" series on TV no matter what. Bottom line though, I really wish it wasn't so, and that Father and Son got along. But it is what it is. I am sure this confrontation caught by HBO cameras will make for good TV ratings. .